An enthralling story that encapsulates the struggles of a young woman growing up in a world where inequality is all around her, and trying to find a role for herself when her family are ignoring her in favour of their son and heir. I never really considered what it must have been like to have been born into a family and have so little importance placed upon your existence, but in this story the very spirited Evelyn is not one to take things lying down, and with a new friendship with the young apprentice gardener, Drake, she gains more confidence in herself and begins to find her way in the world despite the obstacles placed in her way. 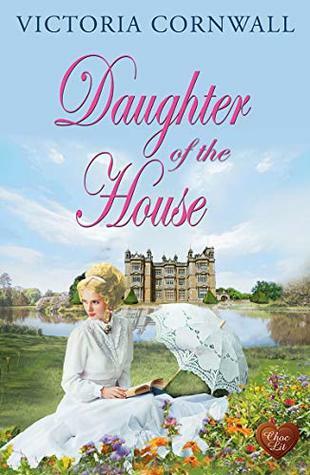 The pressure of inheritance has caused splits in the family and with the health of young Nicholas in the balance, Evelyn is left facing up to a future she and her parents had never considered. Evelyn has been used to a caring governess while she grew up, but things change and under the care of her new tutor and family Doctor, she is now facing new battles that are quite shocking to read about but thankfully in Drake she has a wonderful support when she most needs it. The story follows the families over a few years, and it is clear just how important the family name and bloodline was to people, despite the fact that it made the role of women so unimportant. It also brings to light the shameful way that women were treated and even diagnosed as having mental illness if they dared to stand up for themselves and speak their minds. With Evelyn, it really gives you a taste of what it was like for her growing up in a man's world and how very little choice women had in affairs of the heart. A stirring historical story full of engaging characters and guaranteed to make you feel a wide range of emotions!